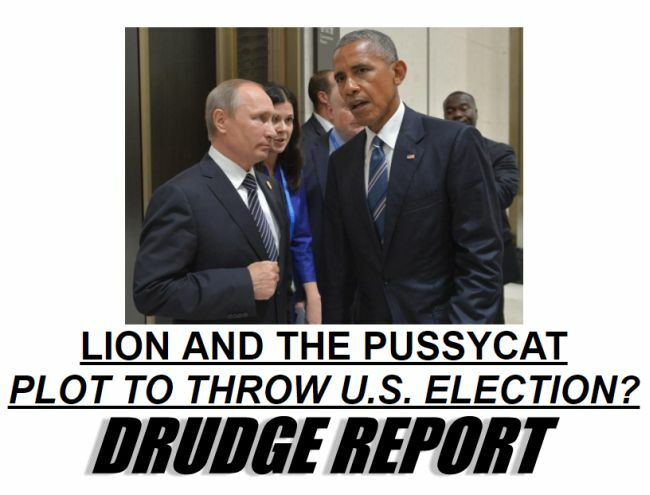 The Drudge headline is part of a larger pattern from the site of consistently promoting Putin and his strongman style of leadership (the “Lion”), which Drudge has often contrasted with President Obama, whom he characterizes as a weaker leader (the “Pussycat”). Drudge has also consistently promoted pro-Russian news and information, repeatedly harping on the idea that American power is weakening and in decline. 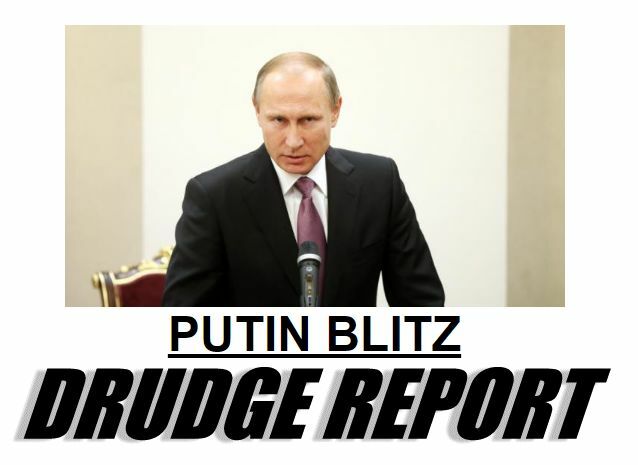 Matt Drudge has extolled the virtues of Vladimir Putin for some time. In 2013, Drudge declared that “Putin is the leader of the free world,” adding to a chorus of conservatives backing the Russian leader. 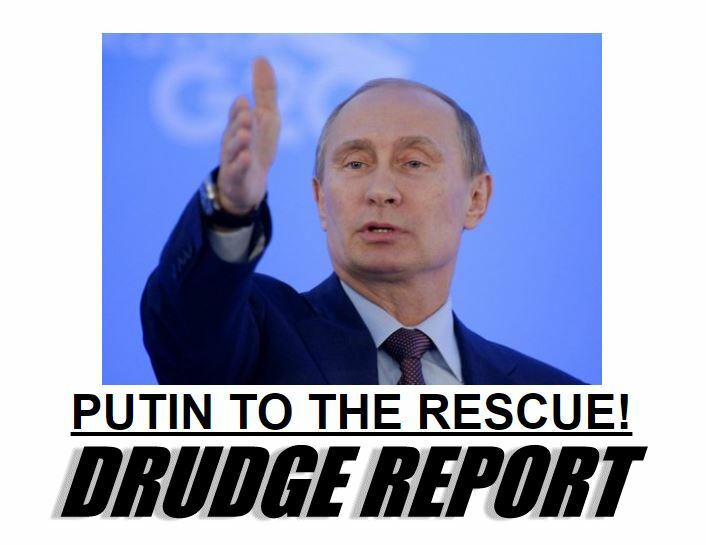 Around the same time, Drudge featured Putin at the top of his site as “Putin To The Rescue” (a headline he would re-use two years later) as the leader began discussing a possible military role for Russia in Syria. Over the past few years, Drudge has used his site to promote a steady stream of stories favorable to Putin, often while denigrating President Obama and the United States. Drudge’s boosterism of Putin has continued even as the FBI and other investigative services have alleged that hackers working at the behest of Russian intelligence have compromised American computer systems, including via an intrusion at the Democratic National Committee. The U.S. director of national intelligence has also recently testified that an inquiry is currently underway to see whether Russians are attempting to influence the 2016 presidential election. 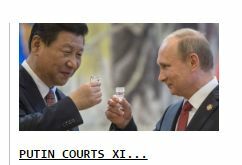 Drudge has couched some of his stories about Putin with accompanying articles and headlines comparing his leadership style to that of Republican presidential nominee Donald Trump. The Drudge Report has repeatedly highlighted stories focusing on Putin as a strong or tough world leader, often in a military context. 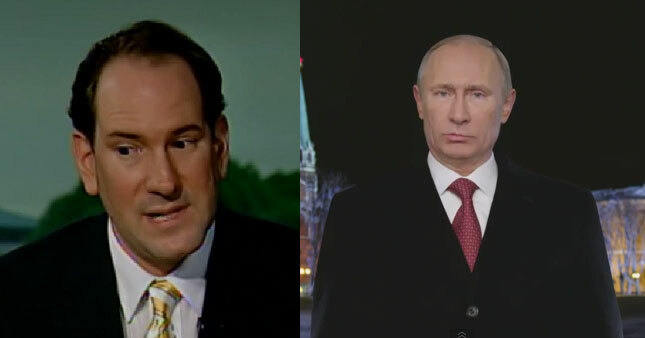 The Drudge Report placed an above-the-fold link to a threat from Putin that he could use nuclear weapons against ISIS. Putin made it above-the-fold in a link to a Breitbart News article referring to ongoing negotiations over Syrian chemical weapons. 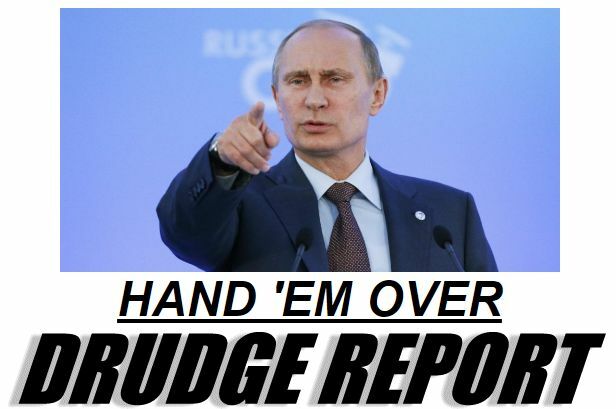 The headline was “Hand ‘Em Over,” with a photo of Putin. Drudge gave above-fold treatment to a story asking if Russian airstrikes had killed the leader of ISIS (they hadn’t) with the headline “Did Putin Kill ISIS Leader?” The report linked did not name Putin or even reference Russian forces and their activities in the Middle East at the time. 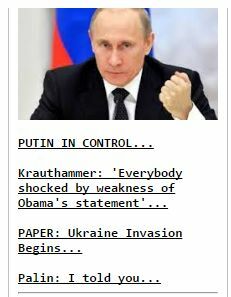 It appears Drudge invoked Putin’s involvement on his own. 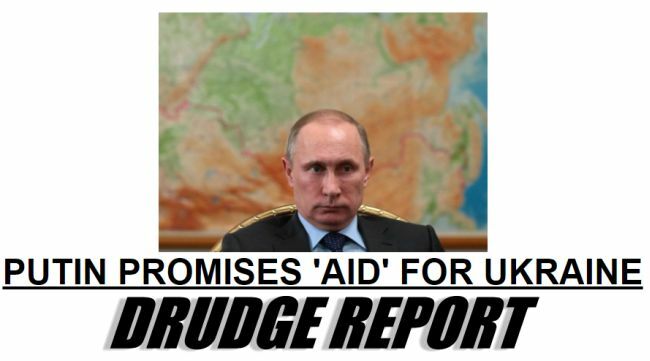 As Putin moved to annex Crimea, Drudge put the headline “Putin Promises ‘Aid’ For Ukraine” above-the-fold. 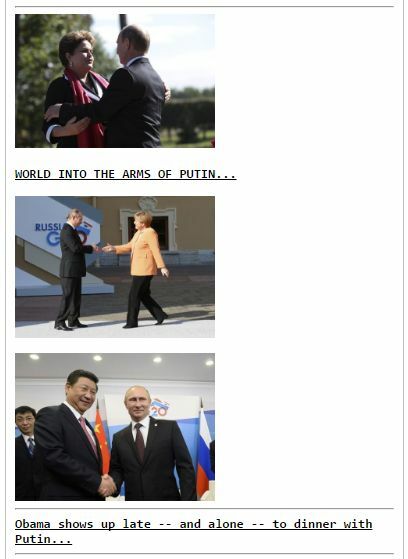 In addition to articles promoting Putin as a strongman, Drudge has also sought to use those stories as a contrast to President Obama and United States policy. When Putin wrote a New York Times op-ed questioning the concept of American exceptionalism, it was featured at the top of the Drudge Report. Drudge linked to a story purporting to tell “how Putin beat Obama in Syria.” The original headline referred to “monstrous Putin,” but Drudge removed the adjective once he aggregated the story. When Putin has been involved in international controversies, the Drudge Report has been a part of his administration’s pushback, often with links to official Russian news outlets, or those with state sponsorship. The Drudge Report highlighted a story from the state-financed Russian news outlet RT in which Putin claimed that he would neutralize a purported “missile shield threat” coming from America. 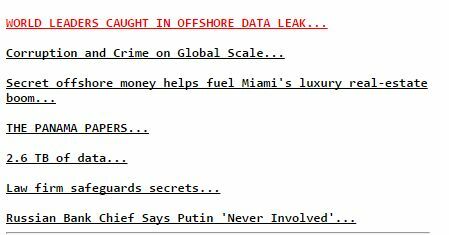 When leaked files showing international efforts to move money offshore to avoid taxes referenced Putin, Drudge linked to an official denying Putin’s involvement. 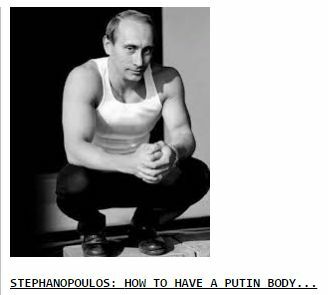 Drudge has also used his platform to chronicle Putin’s day-to-day activities as leader of Russia. He made a note of a Putin visit to Iran, which for some reason was featured above-the-fold. When Putin said he was considering running for a fourth presidential term, Drudge compared him to Stalin, and it was meant in a positive light. A story from the official Russian news agency Tass speculating that Elton John might meet with Putin while in Russia for a concert received a Drudge link. An announcement that a state media agency in Russia was dissolving also made it above-the-fold on Drudge. 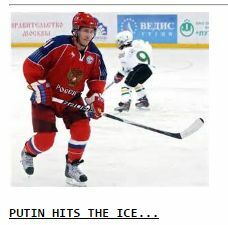 When Putin played in a hockey game, that made the Drudge Report too. Drudge illustrated an ABC News story on Putin’s exercise regimen with a photo of the president. 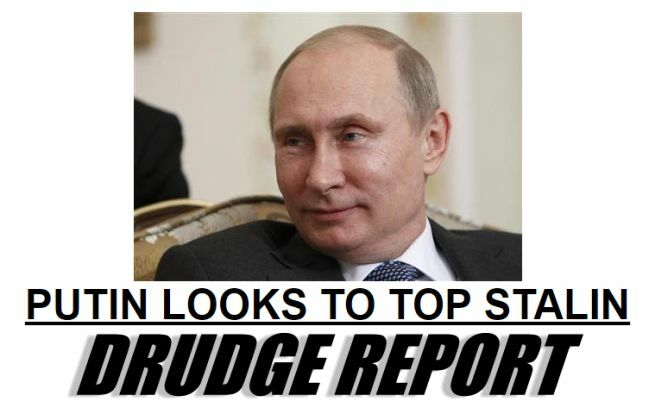 Drudge took note of a Putin encounter with leopard cubs in Sochi, Russia. 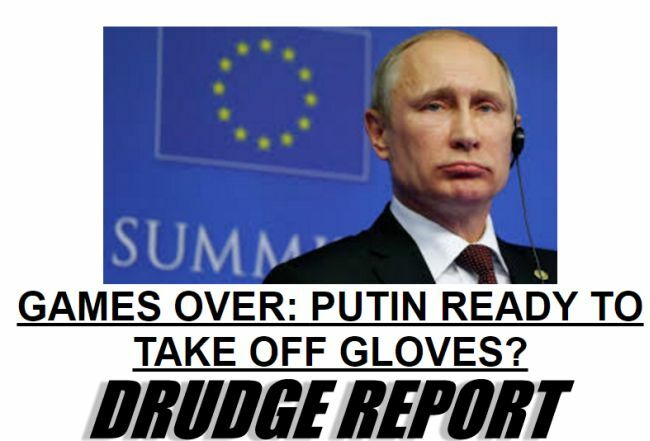 After the 2014 Olympics in Russia had concluded, Drudge put “Games Over: Putin Ready to Take Off Gloves?” above-the-fold.